Google has removed a so-called “gay conversion” app developed by Living Hope Ministries, a Texas-based Christian organization that tries to convince gay people that they can live as straight people with enough prayer and religious therapy. For months, the company dug in its heels refusing to remove the app which has already been dropped by Apple, Amazon, and Microsoft. “After consulting with outside advocacy groups, reviewing our policies, and making sure we had a thorough understanding of the app and its relation to conversion therapy, we’ve decided to remove it from the Play Store, consistent with other app stores,” a Google spokesperson told Gizmodo over email. The decision comes after the Human Rights Campaign, America’s largest LGBTQ rights organization, revoked its endorsement of Google this week over the tech giant’s reluctance to remove the app from the Google Play Store. 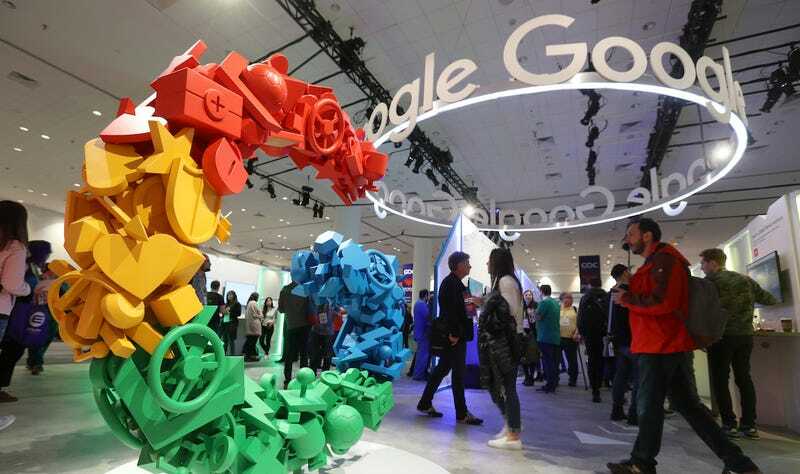 The group released its 2019 Corporate Equality Index on March 28 and didn’t include Google this year. The tech giant has previously received a perfect score from the Human Rights Campaign. In 2004 I had an affair with a woman after having been married for 14 years. I thought I had gotten past this lifestyle, but have since realized I got married because I thought it was the right thing to do. LHM has helped heal the brokenness in my life, which in turn has helped me grow my relationship with God and my husband. Organizations like Living Hope Ministries are simply spreading pain and shame by insisting that gay, lesbian, and trans people are people who need to be fixed. At least Living Hope Ministries won’t be able to spread its garbage ideology of hate on the Google Play Store anymore.